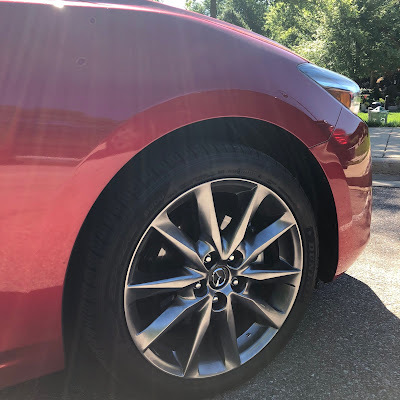 I received this car to drive for a week in exchange for an honest review. 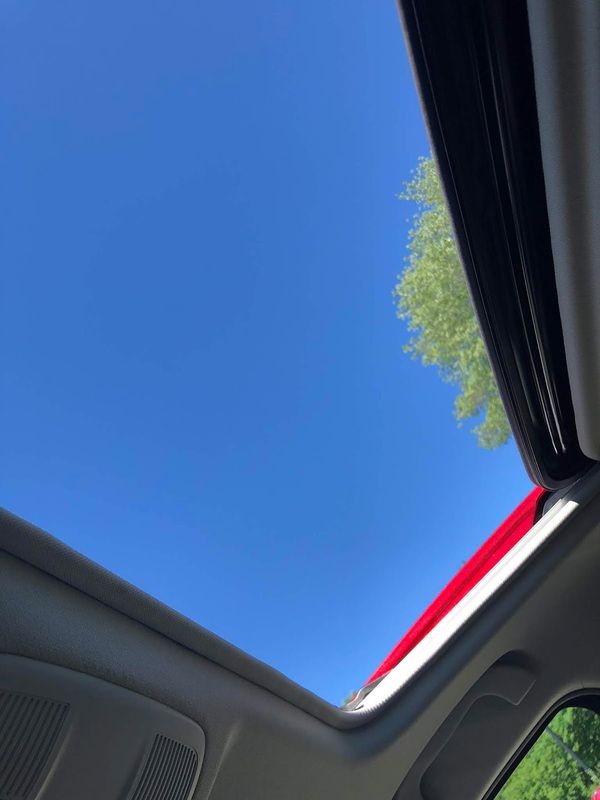 All thoughts and opinions are my own. Hello pretty little thing, Mazda you sure do not disappoint. 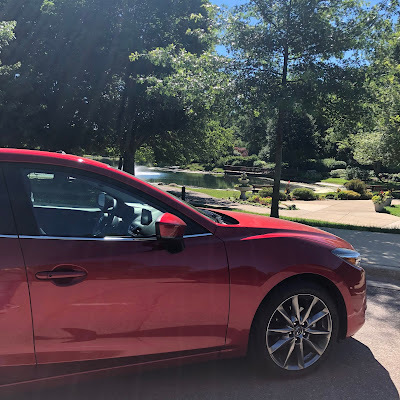 This past week I had the opportunity to hit the town in the Mazda3 Grand Touring 5-door. 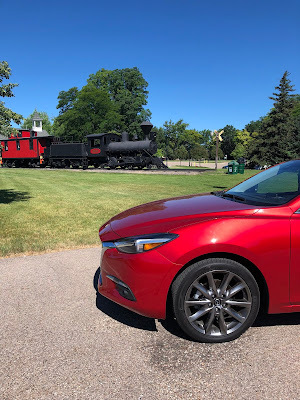 I usually hate red vehicles, but the metallic red shade of this vehicle was really eye catching and took sporty meets stylish to the next level. 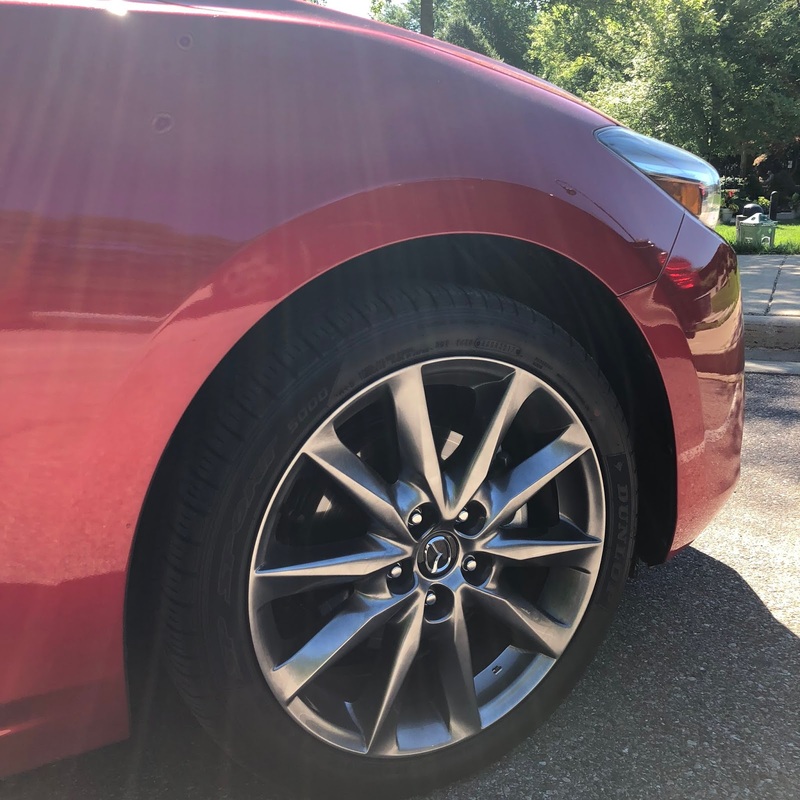 Also, I don’t think I have ever received so many positive compliments about a car before. 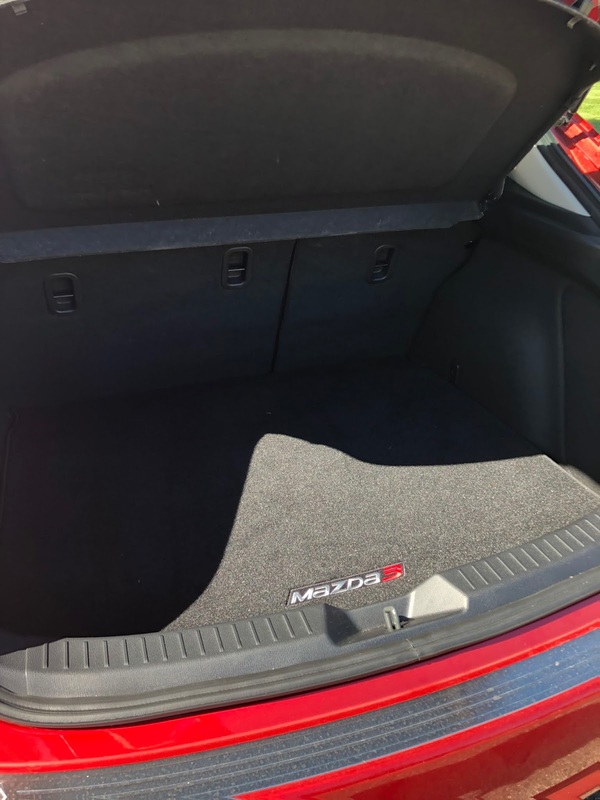 This is a hatchback, is not like the one your grandparents drove back in the day, it’s stylish and will turn heads while you’re cruising down the road. 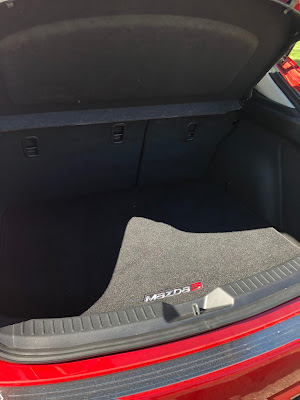 I really loved how roomy the hatchback area was – it fit three beach bags and a large cooler with room to spare! My personal vehicle gets 11 MPG, which is absolutely TERRIBLE, especially with rapidly increasing gas prices. The Mazda3 Grand Touring 5-door averages 30 MPG (20 MPG city and 35 MPG highway), which is AMAZING! 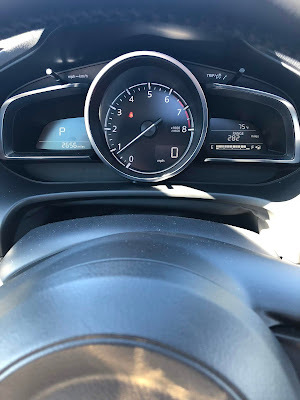 After driving the car for a week I had a quarter tank of gas left! 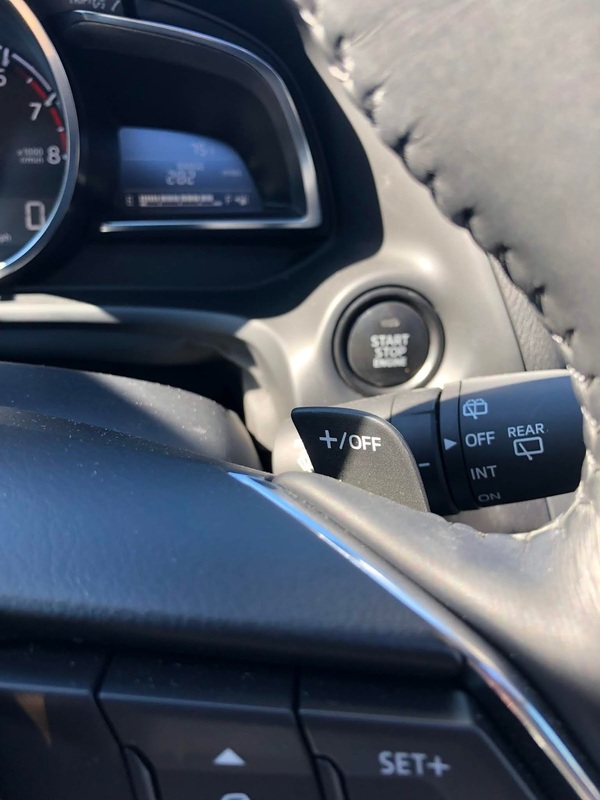 Adaptive Cruise Control – seriously love this feature when I’m on the expressway. 6-way power drivers seat – it adjusts height-wise for my short self, which was nice because I could actually see over the dashboard. Moonroof – which I am obsessed with and even use when it’s blazing hot outside. 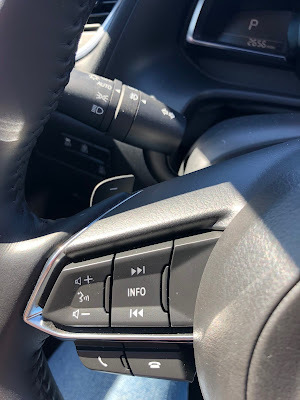 Lane assist – annoying beep when you cross a line (thankfully this feature could be turned off because it drives me insane). 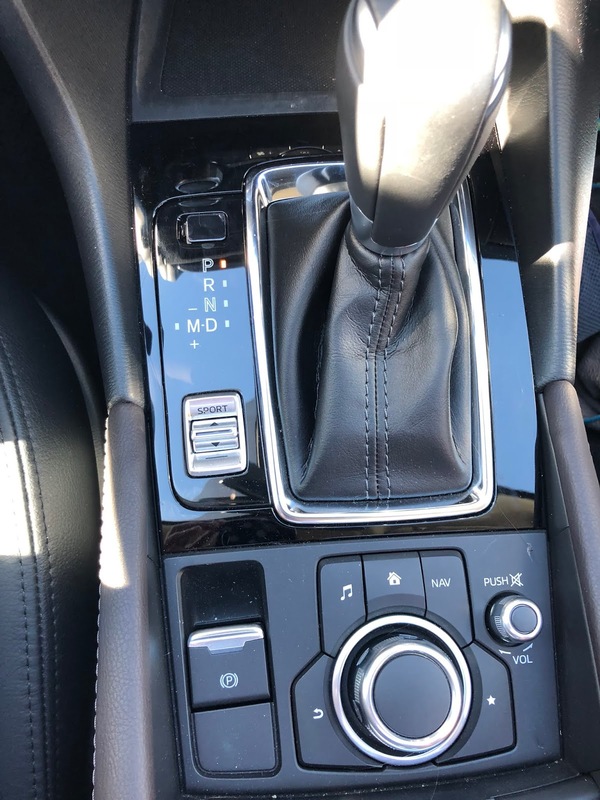 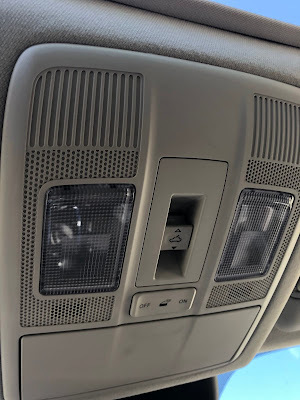 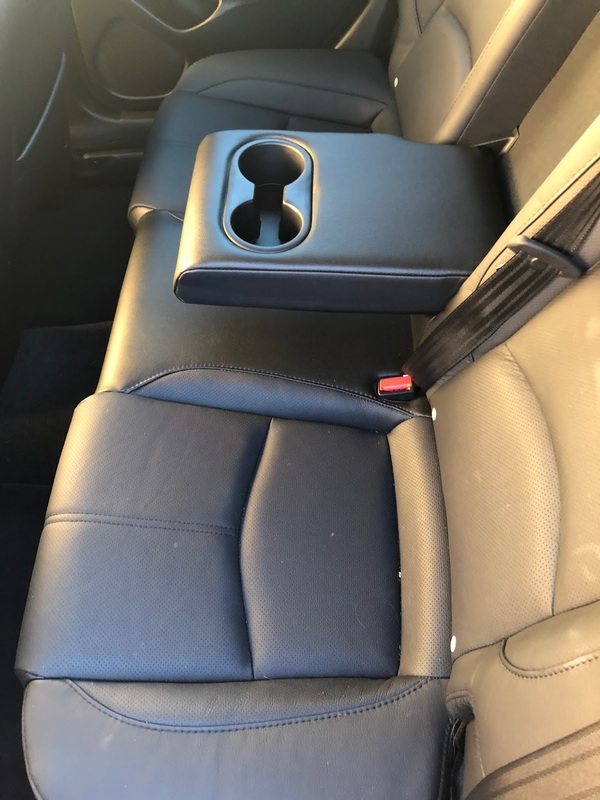 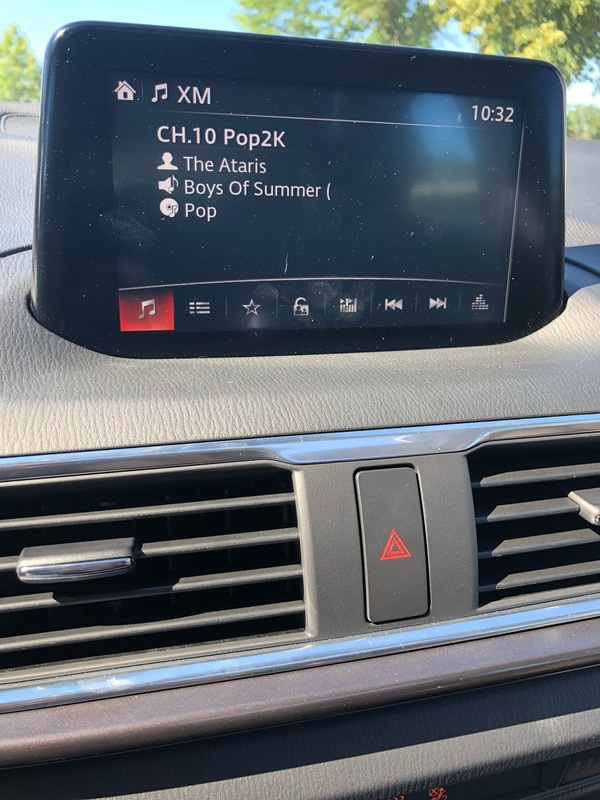 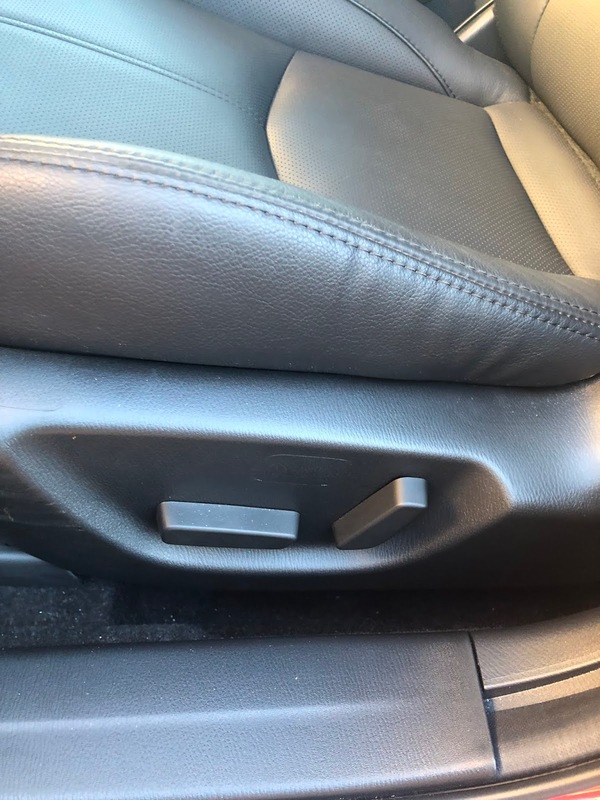 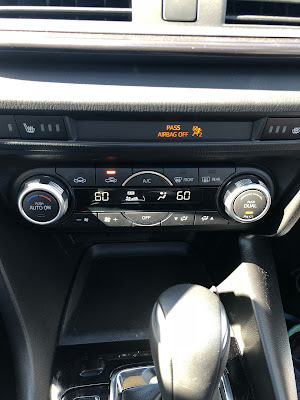 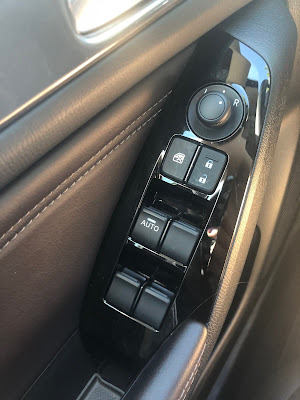 Heated Seats – despite it being ridiculously hot outside, there were two days that this feature was actually used – both instances were to make backs feel better. Heated Steering Wheel – obsessed with this feature during the chilly months. 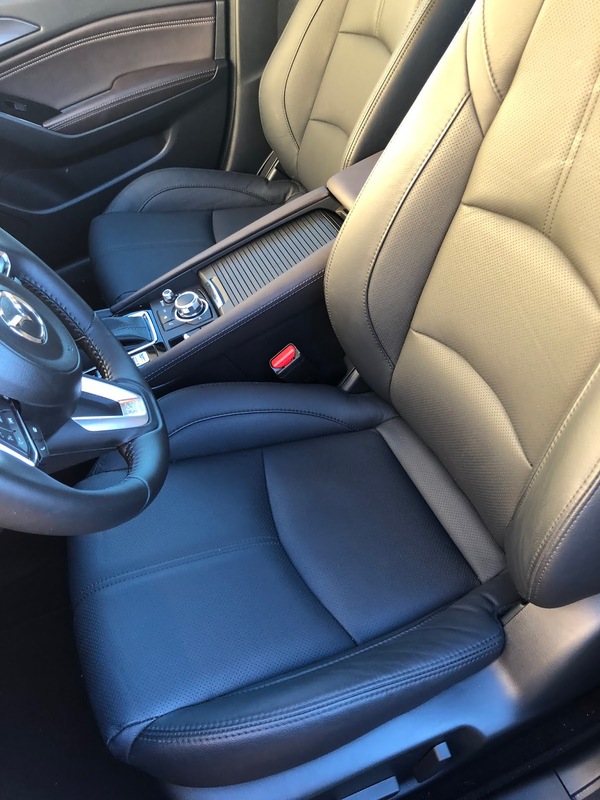 This car is fabulous, I am really starting to fall in love with Mazda’s and with a starting price point of $24,945 this car is definitely one you won’t want to pass up.